Under this project, the Quebec Ministry of Transportation provided to Aurora members a training program it developed to improve winter response capabilities of operators and managers and to enhance skills and knowledge for using climatological data received from remote weather stations. In addition, the possibility of combining this effort with the computer-based training program developed by AASHTO was pursued. Although Quebec’s training materials were not combined with the CBT, metric standards were incorporated into a CBT version. Quebec also provided nine training modules for distribution and internal use by the Aurora member agencies.Under this project, the Quebec Ministry of Transportation provided to Aurora members a training program it developed to improve winter response capabilities of operators and managers and to enhance skills and knowledge for using climatological data received from remote weather stations. In addition, the possibility of combining this effort with the computer-based training program developed by AASHTO was pursued. Although Quebec’s training materials were not combined with the CBT, metric standards were incorporated into a CBT version. 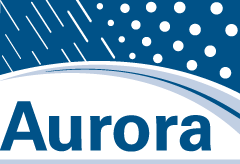 Quebec also provided nine training modules for distribution and internal use by the Aurora member agencies.